Halloween is a time of year filled with excitement for many of us. However, that same excitement for us can translate into fear and anxiety for your pet. Halloween presents many potential dangers for your four-legged friend. Here are a list of things that you can do to keep your pet safe during Halloween and the surrounding festivities. Keep your pet away from the Halloween activities as much as possible. This means if you’re hosting a Halloween party, find a comfortable spot for him or her, secured in a separate room. 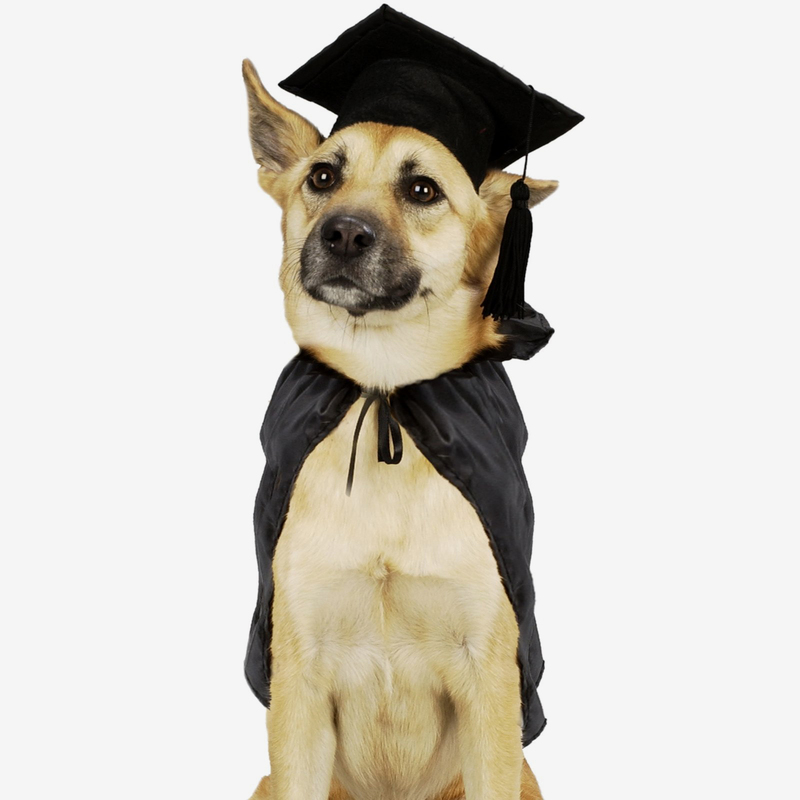 Though your pet may know the guests well, seeing people in strange costumes can be frightening and lead to unwanted accidents. Spare your pet and your friends from being put in this situation. During trick or treat time, keep your pet away from the door, preferably again in another room where they won’t hear the constant knocking and squealing. Watch for choking hazards such as small candy wrappers left on the floor or where your pet can get them and Halloween decorations or costumes with small dangly pieces. All of these can present choking hazards for your pet. Pet costumes should only be used on pets that really love to wear costumes. If your pet is clearly apprehensive about wearing clothing items, spare them the added anxiety of going through this. 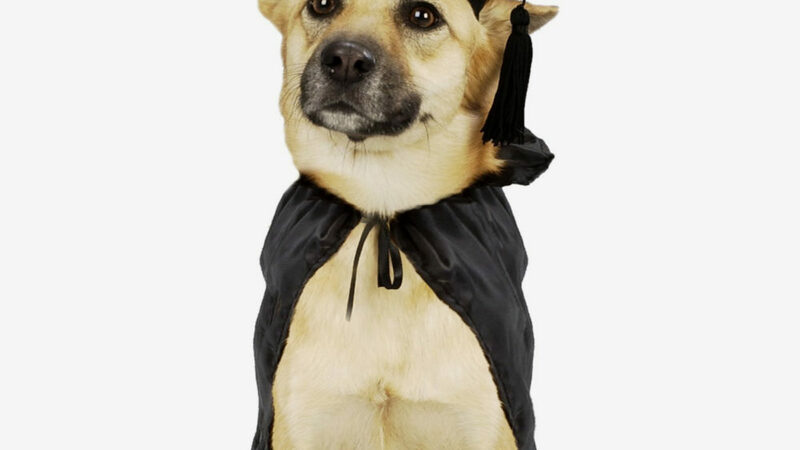 If your pet does enjoy costumes, be sure the costume they have fits will and does not have choking hazards that they can get to. Costumes that are too large can get caught around their legs or caught on furniture and other objects when they’re moving. Watch wires and cords attached to Halloween decorations. If these are chewed on your pet could suffer cuts, burns, or life-threatening electrical shock. Make sure that your pets have proper ID on them at all times, whether it’s a collar with a clearly labelled tag or microchip (preferably both) in case they do get loose. Shelters report an uptick in activity during Halloween. Pumpkins and decorative corn should be placed where your dogs cannot get to them. Neither are toxic if ingested, but both can cause serious digestive problems. Watch candles! If you’re lighting a jack-o-lantern consider using the battery operated tea lights instead of a candle. If your pet is able to knock into the jack-o-lantern or a table it’s sitting on they could easily start a fire. The Halloween season can be fun for you and for your pets if you take extra care to remember their special needs. If you have any questions or concerns contact your trainer at iCareK9 for more individual advice.